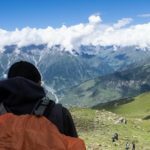 Trekking solo in India unlike the west, remains unknown, untried and unthought of and hence looked at with raised eyebrows, weird faces emitting amusement and scepticism; and also sometimes with an acknowledgement for some kind of an accomplishment. After going through a lot of treks on the web, I had finally narrowed it down to Deorital-Chandrashila. Lake, forests, meadows, snow-capped mountains, the feeling of the summit; all were on offer in this exciting trek. An overnight bus from Delhi took me to Haridwar in about 5-6 hours. The early you reach, the better, so that you can take the bus to Rudraprayag and reach by noon. Buses from Haridwar start as early as 04.30 in the morning since none ply during the night. The route throughout runs alongside the aqua blue Ganges and you can feel fresh air around. 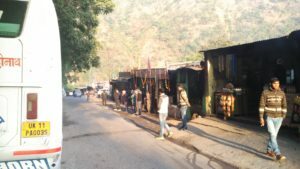 Halt on the way to Rudraprayag for a quick tea and some snacks. 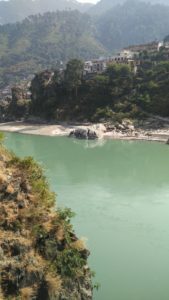 The bus dropped me at Rudraprayag at around 11.30 am and I was in need of a break after the long journey. Had my breakfast and went about for a walk in the small town. The hidden gem near the village Sari - Deorital lake ! Sunset with the view of the mountains - Deorital lake ! On the 14km trek to Chopta. Due to unavailability of any network, no contact could be made. The sky was getting darker when we decided to go back and search them with the help of a local, calling out names and signalling with torches in the dense quiet forest. 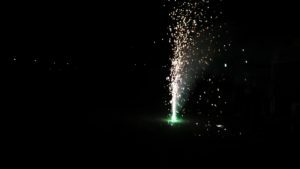 Diwali at Chopta- One of the rare crackers going off ! The temple - Chandrashila summit ! The mesmerizing view of the mountains - Chandrashila summit ! This is a must do trek and is a relatively easy one. Live it now! 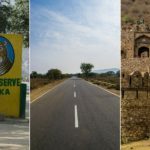 Uncover more treks near Delhi. Any queries- Leave a comment. No you need not. Although a guide is a must for the trek from Deorital lake to Chopta which can be done at the lake itself. Otherwise you are just fine. Happy trekking! Me and some of my friends are planning to visit this beautiful place in the last week of November, will i find snow there?I also wanted to ask if we can reach Chopta and start the trek from there to Tungnath/ Chandrashilla or we have to reach Deorital and start it all over from there? 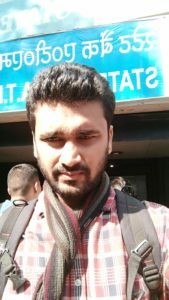 Should i take a guide with me for the 4 kms (chopta -tungnath-chandrashilla ) trek ? You have chosen a great trek! You can only find a few patches of snow at Chandrashila top in last week of November. Since you are going to Chandrashila, you must visit the Deorital lake too. For Chandrashila, you have to start it from Chopta. Deorital lake trek starts from village Sari. I’m planning to take this trek in mid-April as the solo traveller. Could you give me more details about how did you manage your stay and food being solo? I want to see how to get tents on deorital and chopta? Did you stay at chandrashila peak as well? 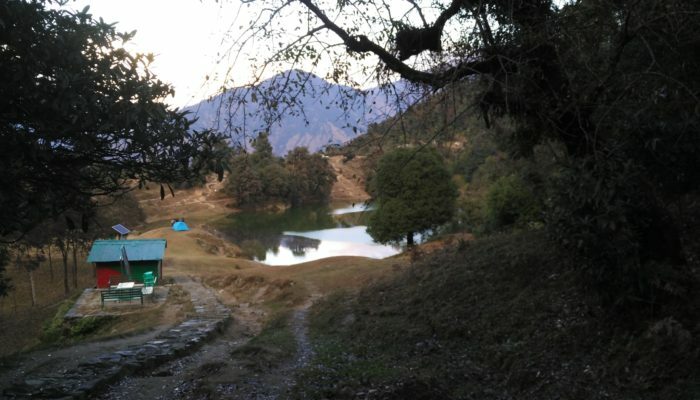 Accomodation in the form of tents and lodges are available at Deorital lake(tents only), Chopta and Chandrashila. There are small shops which provide both food and stay. So you do not have to worry about that. Stay at Chandrashila peak is not possible. Maybe a few hundred feet below that, but that is only possible if you have got your own tent or accompanied by trekking groups. Stay is preferable at Tungnath. Chandrashila is just an hour away from here. 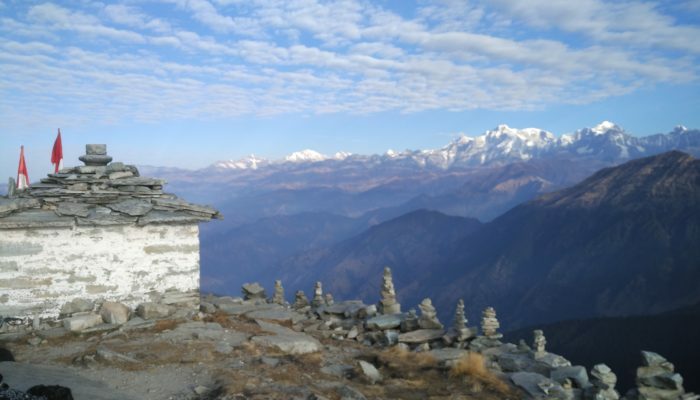 I stayed at Chopta and completed the Chandrashila trek(to and fro) on the same day. All the best for your trek. This is one amazing one! I also want to follow the same route as your’s. 1. For which part a guide is needed. 2. Which place is good for overnight stay. 3. how is the weather in march. 4. what you recommend solo or with a travel agency. 5. is it a good trek for beginners. Yes. That is the perfect trail to follow. 1. 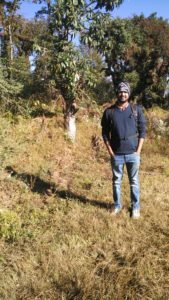 Guide is only required for the Deorital to Chopta trek. You can hire any local at the lakeside. 2. Day 1- Deorital lake tent, Day 2- Reach chopta and stay at any lodge. Day 3- You can complete Chandrashila and leave that day itself. Or, stay at Tungnath or Chopta again. 3. March should be quite cold and you would find snow. So be prepared. 5. This is the one of the best treks for a beginner. Just do it and get amazed! Thanks for sharing this info. Really useful to plan a solo trip. Yes Akanksha. It is totally safe for a solo female traveller. People are warm here as they mostly are in the mountains. And treks are not long. These are day treks so you should be good. So I am planning to follow the same route in the coming weekend. 2.) Will 3 days be enough if i start my journey from Delhi? 3.) 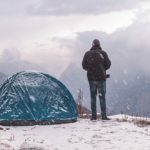 I have my own tents, so are there good ( and safe) places to put up the tents in tungnath? 2. It is possible if the journey starts at night from Delhi which would be your day zero. But i would recommend a 4 day trip. 3. Not sure about Tungnath itself. You will have to look for one. You will definitely find one on the way to Tungnath/Chandrashila. 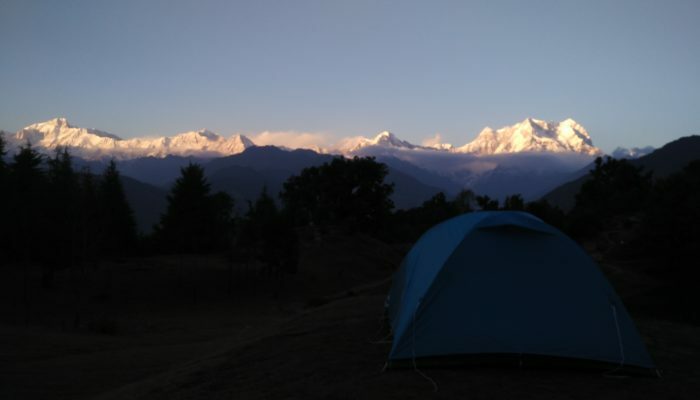 You can also camp at Chopta if you like. 4. Depends on how much you can negotiate. Our guide cost us 200 each for 5 people. I do not have any number. You can ask at any shop set near the lake. Im planning this chopta chandrashila next month 16 june. Will reach haridwar on my own and then Im not sure to take a guided tour or do the trek on my own. I will travelling with my wife, so want everything organised like transports , staying at tents etc. Have a couple questions to you since you have done the trip already. 1) Is it necessary to carry your own tent or we can find tented accomodation along the route ? 2) Are transportation readily available from sari to chopta and chopta to haridwar or do we need to hire cabs for the trips? 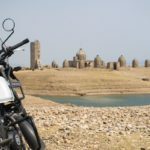 3) Trek groups like Thrillophilia, trekHimalayas are charging Rs 9500/- pp for 3 night tour to Chandrashila , do you think for first timers in the area its better to opt for a organised guided tour instead of a adventurous self tour? Im ok to pay a little extra money for more organised and hassle free tour. 1. Yes you will find accommodation at Deorital, Chopta and Tungnath. 2. Shared taxis/buses are available from Sari to Chopta and then to Haridwar. For the latter, you may have to change a few. 3. This trek is doable without any trekking group. I would recommend you to do without one. It is very much possible. I am planning to do Chopta- Tungnath-Chandrashila trek in late July. Is it okay to trek in July? 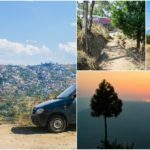 How are the hotels/ guesthouses in Chopta? What are the expenses? The weather would be great but then it is the onset of monsoon. Trekking in monsoon is generally avoided. If you have planned it, be sure to ready a poncho/raincoat. There are only a few guest houses at Chopta but they are quite reasonable(anything between 400-800/night). You have an option to camp too, which may be a little expensive. How much time it takes to trek all the way down from chandrashila to sari? Also, is it possible to reach back Delhi the next morning (around 5-8 am) if we start our trek down from chandrashila around 10 am? The trek to Chandrashila starts and descends to Chopta and not Sari. Deorital lake trek starts from Sari. It is possible to start very early and reach Chopta back by 10am and then travel the whole day in local bus/shared jeeps and reach Haridwar by 7/8pm. 1. 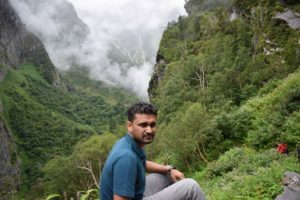 How much will stay at Chopta cost and how to arrange ? 2. How early should i start from Chopta to witness sunrise at Chandrashila ? 1. Stay at Chopta can cost anywhere between Rs 300-1000 depending upon the stay and the season. Tents are also available. 2. Again depends on the season. 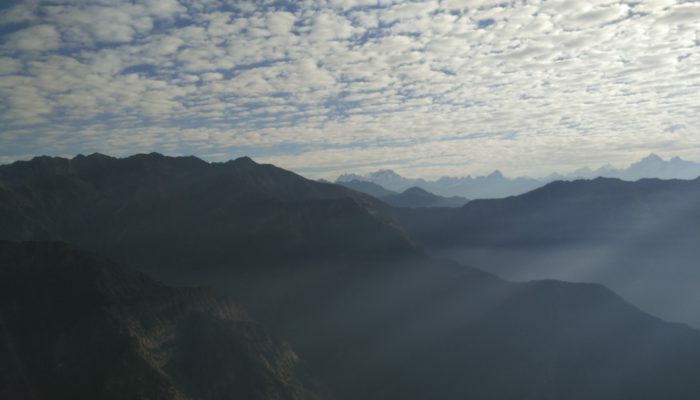 You would need around 2.5 hours from Chopta to reach Chandrashila on time for the sunrise. Yes Shivam. You can do it even if it is your first trek. But do get into the fitness mode at least a couple of weeks prior to the trek. These treks may get a little tough in winters. But still doable if you worked on your fitness. En route from Lake to Chopra, does Rohini bugiyal come in way or have spend another day to cover that? I am not very sure of Rohini Bugyal. There are a few meadows in the trek from the lake to Chopta, though small ones. From what I have read, it is on the trek from the lake to Chandrashila. So I may have missed it. In that case, you may have to spare another day.